Conditions: Sunny, slight breeze. Mostly packed snow with some fresh snow. 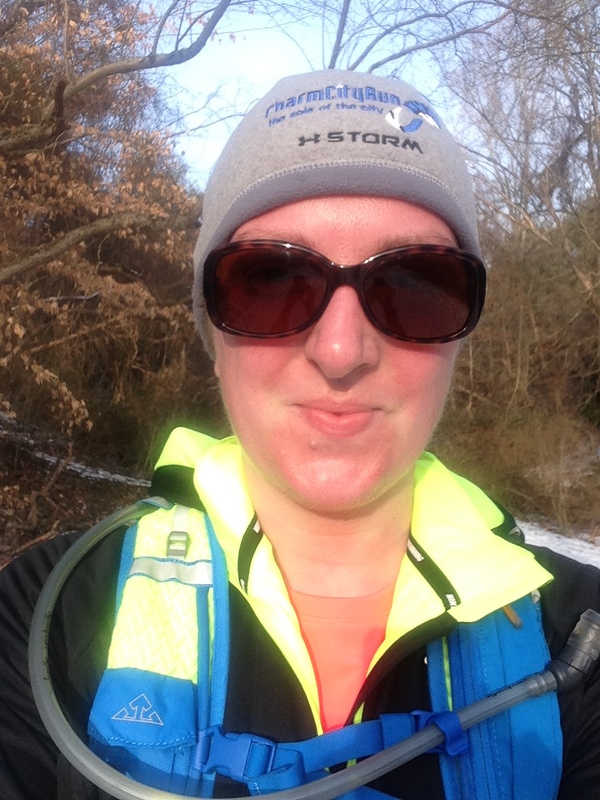 Commentary: I waffled quite a bit on what to wear – I knew the snow on the trail would likely slow me down (meaning I wouldn’t get as warm as I typically do), but I didn’t want to get chilly while out there, because it’s a long out-and-back walk back if you’re cold! I ended up going with the long sleeve regular shirt (e.g. not ColdGear) under the jacket because I do tend to get a bit sweaty in the jacket, which can feel pretty miserable if you slow down and get chilly. I also wasn’t 100% sure about the hat situation – I’m not a huge fan of them, but again, didn’t want to get chilly knowing that I’d be slower than normal. The socks were wonderful – I didn’t notice that my feet were wet from slopping through snow until I got back to my car and took my shoes off. The pants were great, as usual. On the top, I was a bit overdressed. The jacket has vents, but my hydration pack covered most of them, which made it a bit more tropical in there than I like. The shirt, while a great shirt to change into post-run really didn’t perform at all. It was sopping wet in a way I’ve never experienced. Major fail. The hat was great – it was tight enough that my tucked-up pony tail didn’t bounce out, but I didn’t feel overheated with it on. The gloves did their job for the first mile and then spent the rest of the run in my bag.